The big dreams of Arvind Kejriwal and Aam Aadmi Party received a huge blow, as the Congress led by Captain Amarinder Singh made a huge comeback. The party is all set to get a simple majority, as they are leading in 72 out of 117 seats in the state. The AAP may come second with a lead in 28 seats. The SAD-BJP is leading in 17 seats as of now. Deputy CM Sukhbir Singh Badal is trailing against AAP’s Bhagawant Mann in Jalalabad. Navjot Singh Sidhu is leading in Amritsar East. Even, CM Parkash Singh Badal is ahead in Lambi. 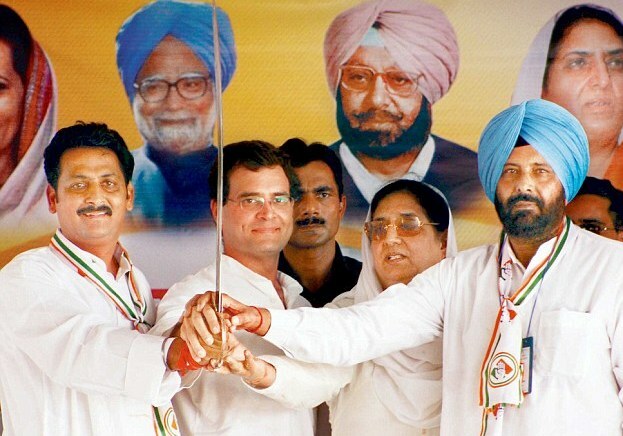 Captain Amarinder Singh is leading from one seat, while trailing in another. It would be a solace for SAD and BJP that they are still not finished in Punjab. They put up a decent show contrary to the expectations, which predicted 5-10 seats for them.